In this article we will go through some basic IOS commands. 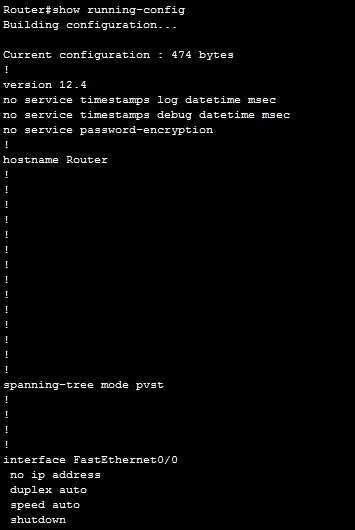 The hostname command is used to configure the device hostname. Because this command changes a device configuration, it must be entered in the global configuration mode. After typing the command, the prompt will change and display the new hostname. Here is an example that shows you how to change a hostname of a device. First, enter the global configuration mode by typing the enable command in the user EXEC mode and the configuration terminal command in the privileged EXEC mode. Once inside the global configuration mode, type the command hostname R1. Notice how the prompt was changed to reflect the configured value. 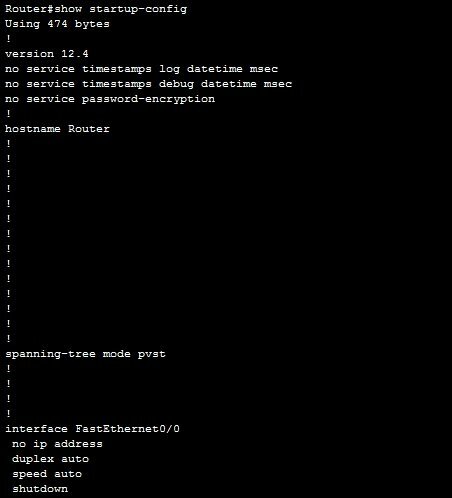 By default, all interfaces on a Cisco router are turned off. To enable an interface, the no shutdown command is used. You first need to enter the submode of the interface that you want to configure. You can do that by using the global configuration mode command interface INTERFACE_TYPE/ INTERFACE_NUMBER. You can get a list of available interfaces by typing the ‘?’ character after the interface command. You may notice that the promt has changed to reflect the mode you are currently in. For the interface mode the HOSTNAME#(config-if) prompt is shown. Once inside the interface mode, you can enable an interface by typing the no shutdown command. What if you had made a mistake and written the ip address 10.0.0.2 255.0.0.0 command instead of the command above? Well, you can remove the wrong IP address by typing the same command, but this time with the no keyword in front of it, in our case no ip address. You can remove any command from your IOS configuration by using the no keyword in front of the command. 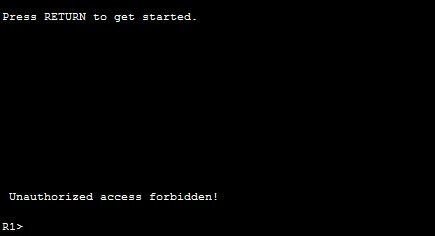 This will force a user to type the password when trying to access the device through the console port. The first command defines a range of virtual terminal sessions that you would like to configure. A virtual session can be a telnet or SSH session. Cisco devices usually supports 16 concurrent VTY sessions. So, this command usually looks like this: line vty 0 15. The login command allows a remote access to a device. It is required in order for telnet to work. Notice how the password (cisco) is visible in the device’s configuration. By default, passwords configured using the enable password command and passwords for the console or telnet access are stored in clear text in the configuration file. This presents a security risk because an attacker could easily find out passwords. The global configuration service password-encryption command encrypts all passwords configured. It is important to note that this type of password encryption is not consider especially secure, since the algorithm used can be easily cracked. 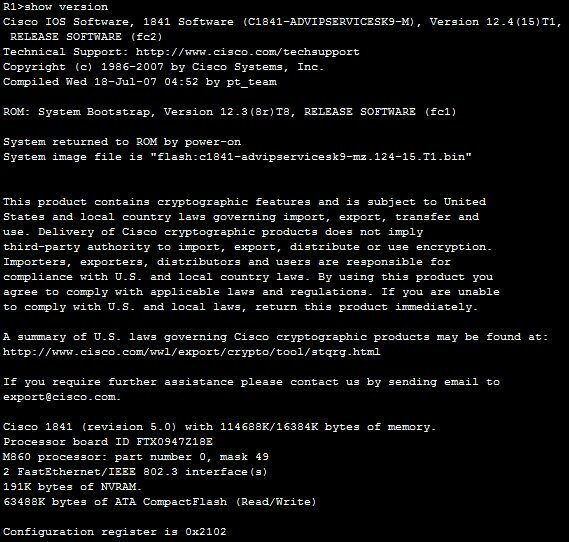 Cisco recommends using this command only with additional security measures. You can display a banner on a Cisco device. A banner is usually shown before the login prompt. It is usually some text that appears on the screen when a user connect to the device (e.g. some legal information). A delimiting character is a character of your choice. Its purpose is to signify the start and end of a text that will appear in the banner. For example, the command banner motd # Unauthorized access forbidden! # will show the following text: Unauthorized access forbidden!. Configuration Register value – bootup specifications, console speed setting, etc. An IOS device stores, by default, 10 last commands you have entered in your current EXEC session. You can use the show history command from the user EXEC or privileged EXEC mode to display them. You can set a number of command saved in the buffer for the current terminal session by using the terminal history size NUMBER command from the user EXEC or privileged EXEC mode. Another way to recall your command from the history buffer is by using the up arrow key on your keyboard. Most recent command is recalled first. After you have changed the configuration of your device you can verify its configuration. To dispay the current configuration, type show running-configuration from the privileged EXEC mode. This show the configuration that is stored in a device’s RAM. After you have stored your running configuration into the startup configuration, you can view the saved configuration using the show startup-config command from the privileged EXEC mode. This command shows the configuration that is currenty stored in the device’s NVRAM. This configuration will be loaded next time the device is restarted.